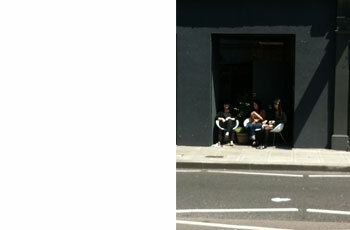 As the summer finally arrives staff are able to take advantage of some urban alfresco dinning outside our office. 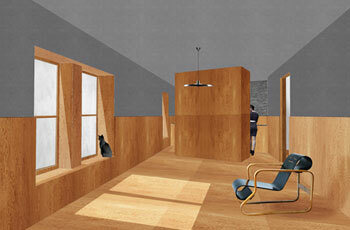 Final images for the interior spaces of our latest T+T Space development are coming together. Douglas Fir and exposed brick make up the interior of this lateral living space. 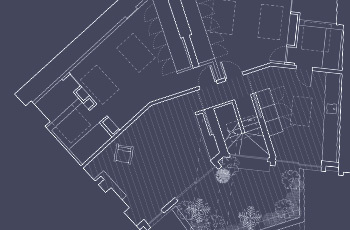 We are currently working on a set of internal views for the refurbishment and reorganisation of a mews house in South Kensignton. We have completed the tender for the conversion of a series of bedsits within this Victorian building in Hammersmith and are due to go on site in the coming months, with the project due for completion in Spring 2014. Teatum+Teatum have been appointed to work on the feasibility and concept for a new house, horse stud and office space in Wiltshire. 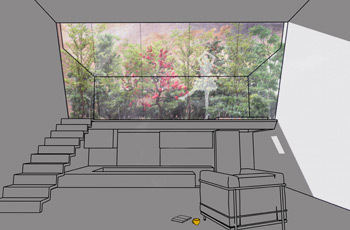 The project will seek to choreograph three different typologies within one site, with all buildings making a connection to the landscape and the surrounding woodlands. 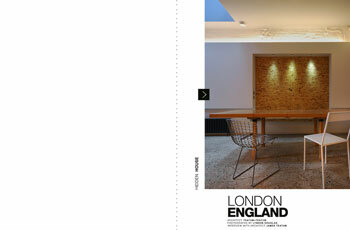 Korean publication C3 has featured ‘Hidden House’ in edition 341. 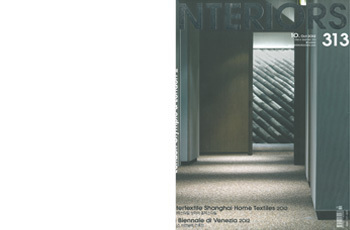 The publication focuses on examples of Urban domestic architecture and the experiences of layered living. The refurbishment and extension of a Grade II Listed house on the Isle of Wight has been recently completed. 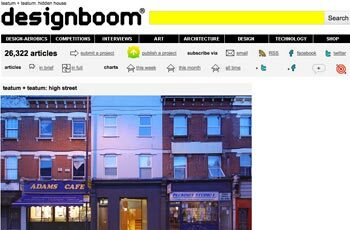 James Teatum was interviewed by Edition 29 digital magazine on the practices’ inspiration behind ‘Hidden House’. 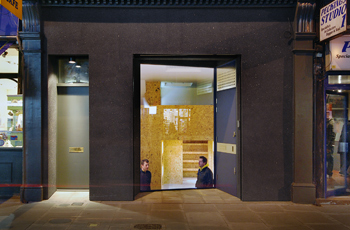 This project was part of a selection of projects alongside others by Alison Brooks and Duggan Morris Architects, which looked at contemporary London domestic architecture. Hidden House is part of the October edition of www.interiorskorea.com, a Korean publication reviewing architecture and interiors from around the world. 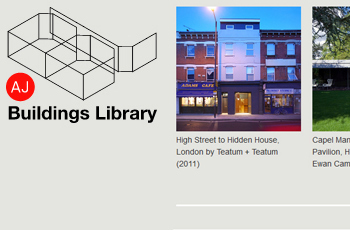 The Teatum+Teatum office, ‘High Street’, was open to the public from 10am — 3pm during Saturday 22nd September as part of the Open House programme. We would like to thank all of the 195 visitors who gave up part of their Saturday afternoon to come along and listen to us speak. 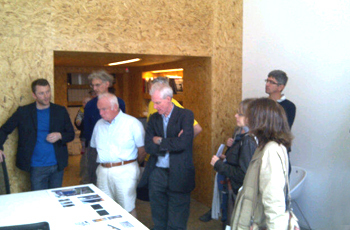 It was pleasing to hear that both local residents and visitors new to the area felt our project had such a positive impact on the high street and that a contemporary piece of architecture was a welcome addition to the locality. Hidden House has been featured in CAAOH magazine, a Czech publicaion, showcasing architecture, interiors and product design from around the world. 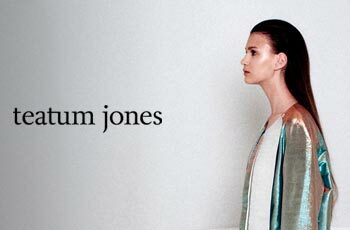 The Spring / Summer 2013 collection for British Fashion label Teatum Jones was presented today at The Dorchester Hotel. 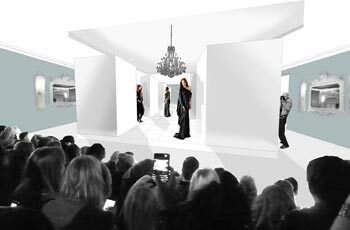 Teatum+Teatum created the concept and designed the show, inspired by Cold War films. Teatum+Teatum worked with Barrisol, Colourspec Interiors and Design Scene to create the event on the day. 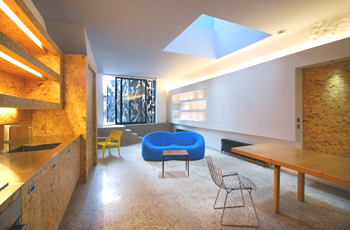 Teatum+Teatum have been appointed to work on the reorganisation and refurbishment of a mews house in South Kensington. 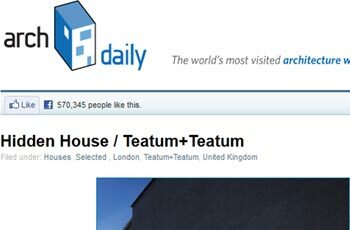 Teatum+Teatum office has been covered on the online blog Designboom. 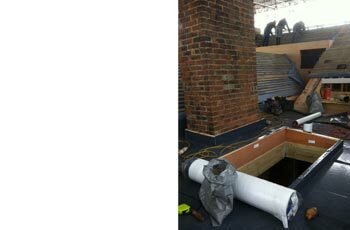 Progress on site for the refurbishment and part new build of Shandon House, a Grade II listed cottage on the Isle of White. 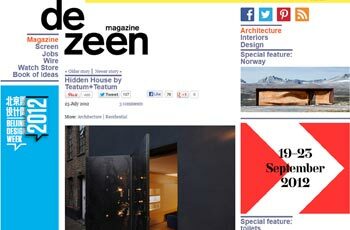 Hidden House is published on Dezeen, the influential British based, globaly renowned online design blog. A blind depicting the Paris Opera from 1932 was installed to Our High Street office window creating another visually engaging layer for alternating events in the window to interact with pedestrians. 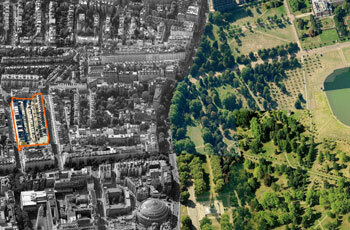 We welcome RCA graduate Amelia Mashhoudy to our team as a Part II architect. 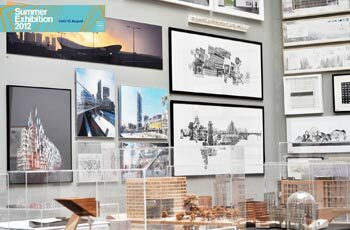 Congratulations to Teatum+Teatum staff member Na Li who has had her diploma drawings exhibited in the architecture room at the Royal Academy Summer show. 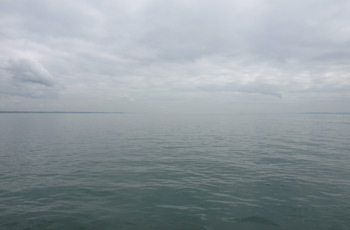 with the next phase of the project to begin immediately. 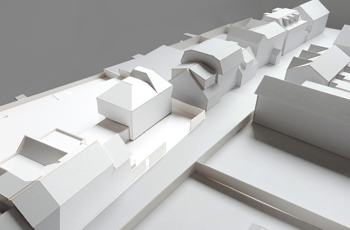 Teatum+Teatum are currently in the process of purchasing two new sites in West London to add to their T+T Space portfolio — a mews house and two adjoining Victorian houses. 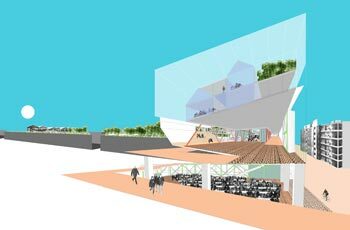 Teatum+Teatum have submitted plans for Lion Tree House in the Isle of Wight. 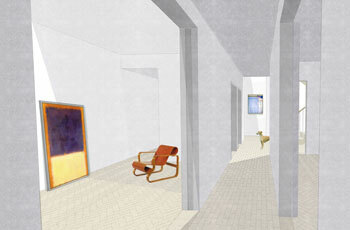 The project is a new build house constructed of concrete and grey handmade clay bricks. 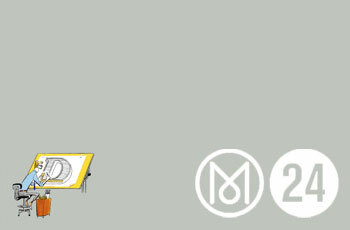 Tom Teatum speaks to Monocle Radio about the potential future growth for London. T+T 001 & 2 did not make the short list of 24 projects selected by the AJ Team, however the project came in the top three most popular projects as voted by the public. 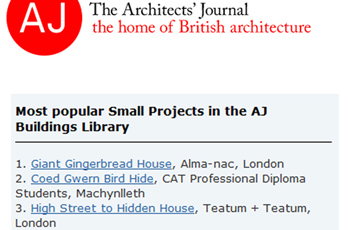 Both Hidden House & High Street have been placed on the long list for the 2012 AJ Small Projects. 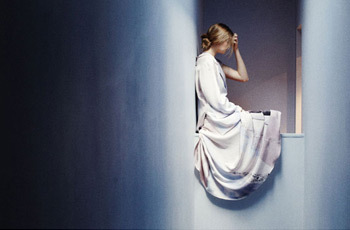 Hidden House has been used as the location for the season Spring / Summer 2012 photo shoot for rising stars of the fashion world Teatum Jones. The house was seen as the perfect location for a collection that was inspired by the emotional qualities that lay hidden within the subconscious. 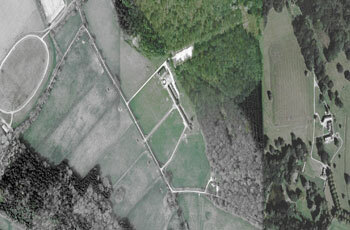 Hidden House was today completed with new occupiers soon to live in its volumetric spaces. 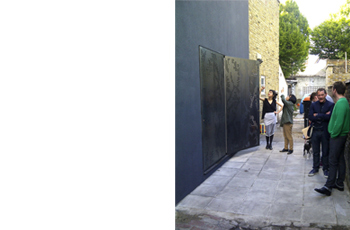 The hot rolled steel butterfly hinged doors for Hidden House today have been fitted and have been tested by our staff members. 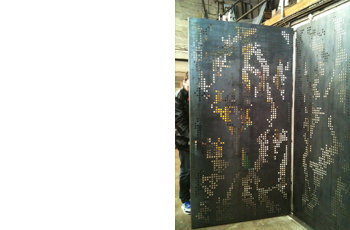 The hot rolled steel butterfly hinged doors for Hidden House are currently in fabrication at the factory. Testing on pattination and surface finish is in progress. 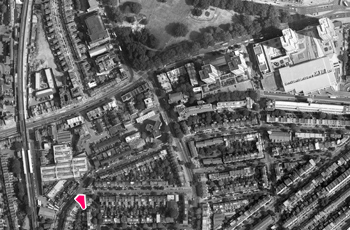 After 10 months on–site Teatum+Teatum connect with the High Street and move into their new offices in Askew Road.